A new study shows that we could find fossils of primitive life near some lake beds. Rocks near ancient lake sites on Mars could hold a lot of secrets about life that was on mars many, many millions of years ago. See, these rocks and full of iron, and are formed where giant lakes used to be, because remember – billions of years ago, there was a lot of water on Mars. Scientists have determined that compact, sediment rocks could hold fossils of ancient life from billions of years ago, because the rock are full of iron and silica, which helps with the preservation of fossils. They formed during the Noachian and Hesperian Periods of Martian history between three and four billion years ago. At that time, the planet’s surface was abundant in water, which may have supported life. Scientists claim that they are well preserved simply because of the conditions on the Red planet. However, the real challenge is actually getting to the rocks. We can just hope that NASA or the European Space Agency will do something about it. 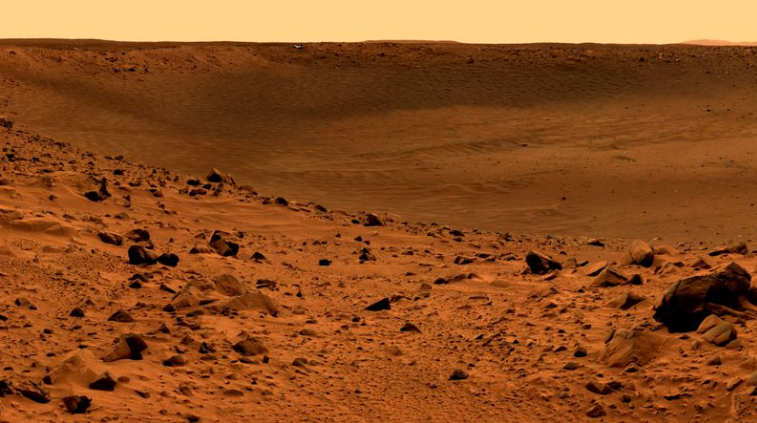 Be the first to comment on "There may have been life on mars 4 billion years ago"